Hey lovelies - I've been a little more quiet on the blog/twitter/facebook front than I meant to these past few days; I got super distracted finalising my Pikachu phone case (so pleased - in the process of typing a pattern to share with you all very soon! and to get it on Etsy!) and also just had a few 'odd' days...but I shan't bore you with the details as now I've just had a bath and feeling back on track. With 2 weeks to go until the final of the World Cup (what a strange World Cup it has been!) I thought I had best give you an update of how my #worldcupcraft challenge is going. I am following a Lion Brand Yarn cardigan pattern - My First Raglan Cardigan - and I intend this to be a thorough practise of my garment knitting/measuring/finishing skills, having made 3 jumpers in the past and none of which fit! I am using stash yarn (hence the different colours) so as not to spend any money on the practise (I've been buying plenty of other yarn though...*looks sheepish*) and so far I have a good feeling about this one! The pattern is easy to follow and not patronising - I am concerned slightly on the sizing as I always am when reading American patterns - my measurements suggest I am an XS, which I'm not convinced by, but a S looks way too big so fingers crossed for the XS! Charlotte, from over on It started out with a stitch.... has already completed her #worldcupcraft challenge project! An absolutely beautiful embroidered cushion cover which you can read about here. What do you think of the work I have done so far? Do you have any practise projects yourself, or perhaps you can share some garment knitting wisdom with me! So yesterday I ventured further into the world of knitting in public (I always do this on the train and in coffee shops on my own/with friends - did you also know that two Saturdays ago was World Wide Knit in Public day?) 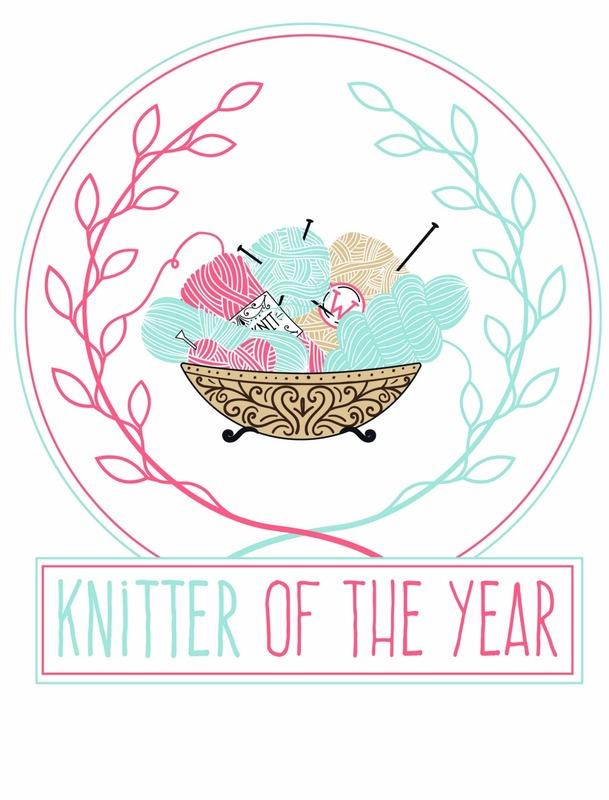 and joined my very very very first knitting group! I've been wanting to join a knitting group for ages (and I mean ages) but turns out 95% of all knitting groups occur during normal working hours (statistics not necessarily accurate). 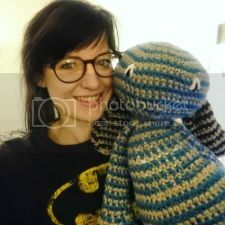 I was on the verge of starting my own out of pure desperation, but after hundreds of Google searches and some help on a local craft Facebook group I stumbled across Blossom's Knitty Night. This is a fortnightly knitting group hosted at The Blossoms, a pub within walking distance from my house in Davenport, Stockport. It's 50p to join in (and the obligatory drink from the bar of course) and the 50p goes towards a small raffle, where the prize is normally a knitting/crochet magazine (sweet!). This was my first time at a knitting group - and I LOVED IT!!! I was immediately made to feel so welcome and after half an hour I was chatting away and all of a sudden it was 10 o'clock and time to go home! I really was made to feel so so welcome instantly and I chatted with the ladies as if we were old friends (except that we constantly forgot each others names - but that made it more fun). Knitting and chatting in a pub - what better way to make a Monday splendid? I was the youngest lady there (and I think the only one without children! ), but I was made to feel part of the 'gang' so easily and I simply can't WAIT to get in stuck in with every meet up :) I have nothing negative to say, except, £1 for a lime & soda? What a joke, I'm sticking to the Coke! Do you join in with a crafting group? What do you think of them? And if you live in the Stockport area and want to join in a knitting/crochet group I couldn't recommend Blossom's Knitty Night enough! The next meet up I believe is 7 July at 7pm. I've made my first Etsy sale - wahoo! I was so excited to receive a message the day after I listed my newest item - my (long overdue) Totoro phone case - enquiry after size etc and to ask for a custom made case. And a day later I had my first order! I got to work straight away in my excitement and posted the item this morning - I hope you think I did a good job on presentation? I hope to have business cards in the near future to send with purchases and to have ready to take to craft fairs when I delve into that world - can anyone recommend any good websites for business card design/printing? my current stock - ever growing i assure you! Can you guess what my next creation for my Etsy store will be, using the picture above? Have you been watching or avoiding the world cup? Either way I have a challenge to share with you! I have accidentally set myself a world cup knitting challenge - to complete my practice cardigan by the final on 13 July. I decided to make this a challenge as this project has become my go-to when the football is on - I've been enjoying the world cup much more than I realised I would, and it provides perfect 90minute slots for me to knit within! I was pleasantly surprised to find that I have already completed the back panel of the cardigan (for your information I am following a nice simple pattern from Lion Brand Yarn ) and so now I have decided this is my challenge - to complete knitting my cardigan by the final of the world cup on 13 July. Please comment on this post with any questions/if you want to join in with blog links! you may define medium/large as you fit - basically don't do a small one! for example, I am knitting a cardigan! please write a final blog post with your completed project (or as far as you got) preferably linking back to this blog, but I don't mind! 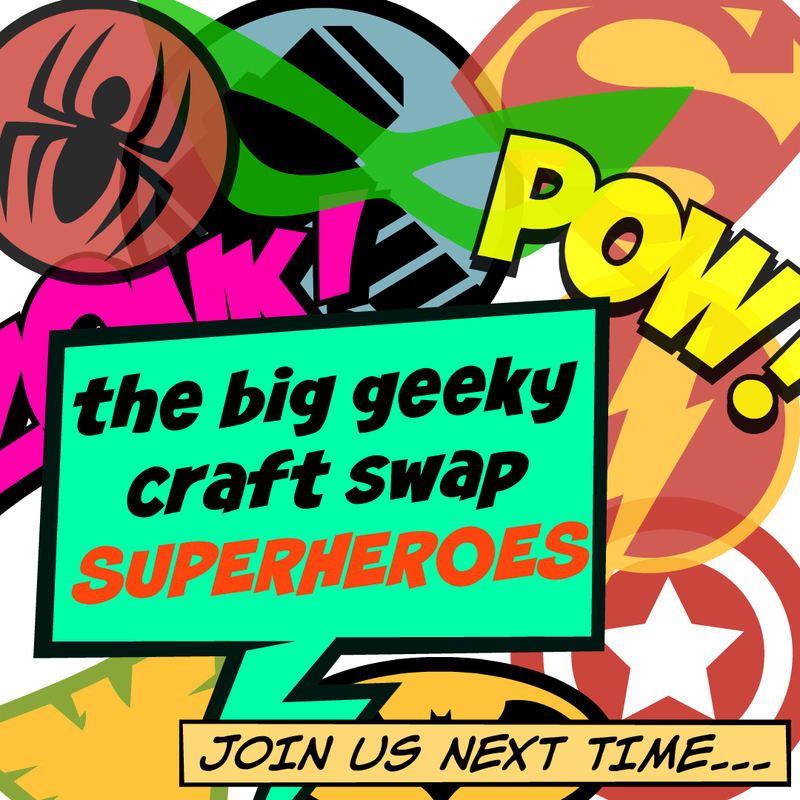 So - whether you are avoiding the world cup or enjoying it, fancy this craft along? I would love to have anyone and everyone join in, and like I said all very informal! Finally if you post on social media I propose the hash tag #worldcupcraft (worldcupcraftchallenge is a bit long). Hope to hear from you soon! Well today is Father's Day - and here's some love for all the dad's out there! Me and my sister took our dad out for an indulgent breakfast at a new coffee shop near my house called The Bake House - we had never been there before but it turned out to be really well priced and scrumptious! And the decor is beautiful, I will certainly go back and knit there and snap some more pictures. As you can see dad opened his crafty gift from me at breakfast and I'm so relieved to say he was pleased with it! I wanted to make him something but I don't know about you, it is always difficult to make something for men. I was mindlessly browsing Etsy a few weeks ago and I stumbled across this shop that does excellent 8-bit design greetings cards - do have a look. Cheeky of me but they do make brilliant cross stitch patterns and so I did the Star Wars one (rather than buy a card, I really wanted to make something for dad) and it worked up in about 5 hours or so - sweet! Following breakfast I finally went to Stockport town centre to investigate The Handmade Market which is on every 3rd Sunday of the month. I had high hopes for the market but I am sorry to say it was really very disappointing. It was held in the Market Hall (which is the large historic glass market hall in our town centre) and there were not enough stalls in the market to make it an appealing visit. It was no doubt the time of year (I hope at Christmas it will be bustling and full) and the weather (muggy rain all morning here), but it was very poorly advertised. 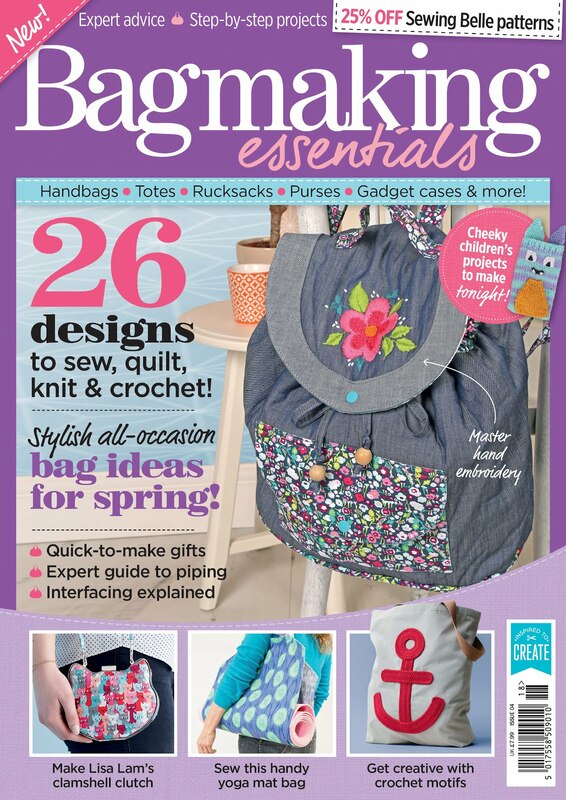 I only accidentally stumbled across it online - they really need to invest in some more advertising to get some extra foot traffic from the high street, and also for crafters thinking of selling here. I have entertained the idea but wasn't too impressed, if next month or August/September look busier I think I will go for it though. I did managed to appreciate how nice the older parts of Stockport are however - this is a view from outside the market hall of St Mary's Church. And so afterwards I popped to Hobbycraft to have a nosey as they are having a clearance sale and oh how my heart expanded when I saw some yarn on sale - AND included in the 3 for 2 offer, bonus! So I bought 6 balls of Patons Diploma Gold DK at £2 each (rather than £3) as a stash is always needing more...that's what I tell myself anyway! Did you make your dad anything special for Father's Day, or get up to anything nice? I started watching Battlestar Galatctica - Netflix keeps recommending it to me and so I gave it a go. I didn't realise they begin the series with a movie split into 2, so I wondered how I would watch a show in which every episode was an hour and a half long ... not the case don't worry that is just the (amazing) set up. Battlestar Galactica seems to have everything - adult topics, moral dilemmas, questions of sacrifice and choice during a time of war, who to trust, questions of democracy, genuine emotion, imagination, science fiction - and I have only watched 3 episodes! I can't wait to watch more! I completed the story line on Ni No Kuni : The Wrath of the White Witch (PS3). I have by no means completed the game (plenty to do yet yippee) but I have the story under wraps. Absolutely brilliant - beautiful graphics, wonderful game play that steadily but easily gets more complicated, remaining enjoyable and captivating. This game has a way of touching your emotions in the classic way that every Studio Ghibli/Miyazaki film manages to. It also has wonderful cut scenes in film style. I watched Game of Thrones (of course) - series 4 episode 9, The Watchers on the Wall. I was as pleased as I could have been with the way the episode played out considering how far deviated it is now from the books. Though again I'm not sure where they are going with the end of it...but I daren't say more in case I spoil it for you! Needless to say I look forward to discussing with fellow readers their thoughts. 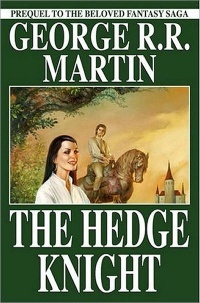 I finished reading The Hedge Knight by George R. R. Martin. This is a short story set about 90 years before the events in A Game of Thrones and the first of the three tales of Dunk (the hedge knight in question) and Egg (his squire). It was absolutely brilliant, I really can't recommend this story highly enough for ASOIAF fans and I eagerly began the second tale, The Sworn Sword. Have you geeked out recently? I would be interested to know if you like any of the things I got up to this week and we can always discuss over an electronic cuppa! Find me on social media by looking to the right of this post - speak soon I hope! Foolishly I forgot to take a picture of the dress before we adjusted it. So once B sends me a link to the original dress I will link it here for you to see. (UPDATE - link to pin here) The dress B bought was a shapeless kimono style wrap-dress. It is made of a beautiful red fabric with gold trim and has all the right drop and weight, but there was no shape to the waist and the sleeves, although supposed to be large, were HUGE. Needless to say I balked slightly at this list - I didn't know it would be such a huge job and there really are no how-to-adjust-kimono-style-dress tutorials online. The closest we could get to was this brief explanation on WikiHow of how to bring in a waist on a dress. Funnily enough it was brilliant! Simple, straight forward, and no fuss on how to adjust a dress waist (definite two person job by the way!) and we were able to apply the same principles to the sleeves as well. lots of inside-out pinning and tacking - very important! and lots of right-side-out trying on to check tacking and sewing! shapely waist and proper sleeves! super pleased with the end result! B is going to add some gold embroidery detail to the fabric, bring in the gold trim a bit so it is slimmer, and fix the belt that she bought to go with it, and will pop round again to borrow the machine if any other changes need to be made, but we are so pleased with our accomplished afternoon! And if you need to bring in the waist on any dresses of yours I can't recommend the tutorial highly enough!